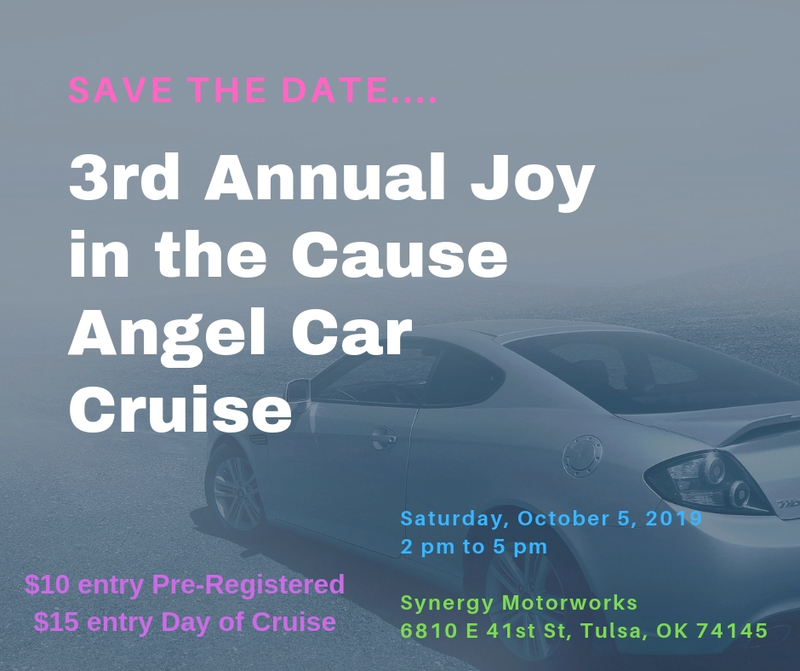 Join Us for the Annual Angel Car Cruise! 50 tickets left! Available For 164 More Days! One entry to the Car Cruise/Show. Pre-registered. Car show, memorial balloon release, Joy in the Cause mascot Mavis Pearl, and so much more!